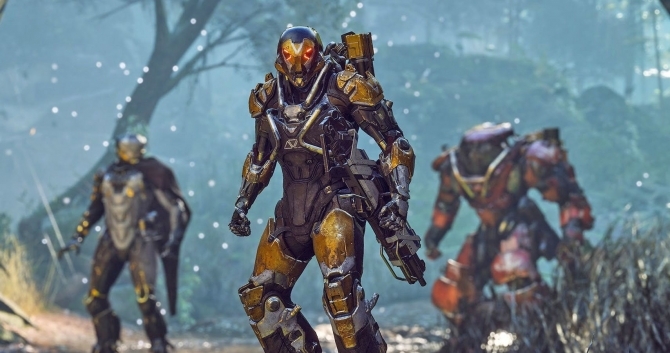 Anthem‘s rocky release is not uncommon for an online-centric title shackled with expectations (see: Evolve, No Man’s Sky, SimCity, DriveClub, Battlefield 4… the list goes on), but players are beginning to encounter problems with the shooter’s endgame content. Case in point: Strongholds, instanced events cut from the same cloth as raids and dungeons, which have caused quite a few headaches ever since Anthem launched back in February. Over on Reddit, for instance, one user lamented the fact that, even after 80 hours of gameplay, his/her first Legendary drop was locked behind a force field. Frustrating though that may be, Ben Irving, lead producer on Anthem, has held his hands up to acknowledge the problems with the shooter’s endgame content, and promised that change is coming. I just wanted to pop in here and apologize for a terrible player experience that I am directly responsible for. As the Stronghold lead the buck stops with me. I can offer explanations but at the end of the day, that doesn’t change the experience. What I really want to do is come in here and explain what we are doing about this so you don’t continue to suffer these situations in the Strongholds. There is a solution – well, sort of – until a fix is released: respawn on the correct side of that nasty fog wall. Then again, this is still a design flaw, and to his credit, Irving isn’t making excuses. If anything, he took ownership of the situation rather well, and ensured Anthem players that changes are on the way. Anthem recently welcomed update V1.04 into its midst, though there have been some problems with the new-fangled Elysian chests that will feature at the end of every Stronghold mission. But like we said before, sometimes it takes a while for a new online title to find its groove.